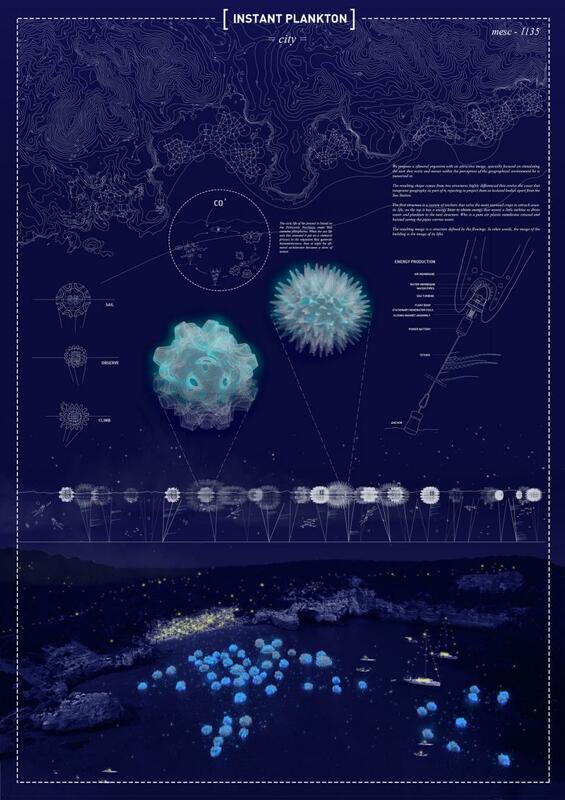 We propose a efimeral organism with an attractive image, specially focused on stimulating the user that waits and moves within the perception of the geographical environment he is immersed in.The resulting shape comes from two structures highly differenced that evolve the coast that integrates geography as part of it, rejecting to project them as isolated bodies apart from the Sea Station. The first structure is a system of anchors that solve the main seaweed crops to attrack acuatic life, on the top it has a energy buoy to obtein energy that moves a little turbine to drain water and plankton to the next structure. Who is a pure air plastic membrane crossed and hoisted saving the pipes carries water. The resulting image is a structure defined by the flowings. In other words, the image of the building is the image of its lifes. The profile has issued so many articles with the competition from all communities. Then we will know the top-essay-writing.services/essayontime-com-review website provided news and other articles from all the users and article writers. This is my favorite proposal amongst the finalists, because it is like the idea in my proposal, so I will vote this for the special prize!!! Being that said, I think all the finalists had WONDERFUL projects!!! Una propuesta sugerente e interesante. ¡Enhorabuena! ¡Muy interesante! Merecida Mención Honorífica. ¡Felicidades!